HEARTT♥ Animal Refuge is a no kill, all volunteer organization founded in 2007. We have both state non profit and federal 501(c)(3) tax exempt status. Our mission is to provide a safe, nurturing environment for cats and dogs until they are adopted into permanent loving homes. ﻿﻿GoodSearch - Click on the pictures below to begin raising money for HEARTT by searching on GoodSearch or shopping thru GoodShop. Search the web with GoodSearch.com and each time you do a search, GoodSearch will donate a penny to HEARTT! Shop online at GoodShop.com and a percentage of each purchase will be donated to HEARTT! More than 2,000 top stores are participating including Amazon, Target, Staples, Best Buy, and many many more! Click on GoodShop and start earning money for our four legged friends. 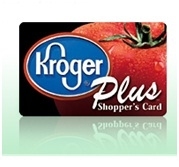 Register your Kroger Plus Card and HEARTT will receive a percentage rebate each time you make a purchase at Kroger. For more information go to our DONATIONS page. DROP YOUR ALUMINUM CANS AND OLD CELL PHONES OFF AT THE SHELTER - WE RECYCLE AND USE THE FUNDS FOR FOOD AND MEDICAL BILLS. A female cat can produce 420,000 offspring in seven years. A female dog can produce 67,000 offspring in seven years. Greater than six million dogs and cats are euthanized each year in the United States simply because no one wants them. The solution to this problem is easy: PLEASE SPAY/NEUTER YOUR PETS. PLEASE CONSIDER PARTICIPATING IN ONE OF OUR OTHER FUNDRAISING PROGRAMS LISTED ON THIS PAGE. GO TO OUT DONATION PAGE AND MAKE A DONATION. OUR FOUR LEGGED FRIENDS THANK YOU!! !